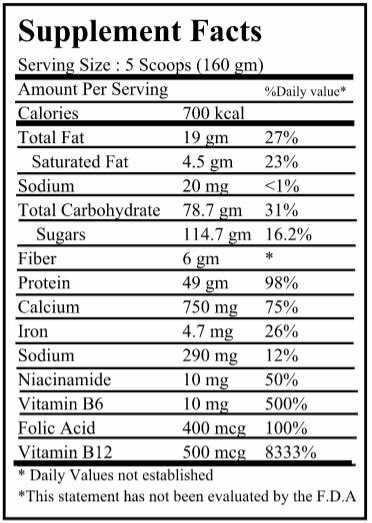 Mass Gainer helps to digest food faster. When digested fast, the food is able to then move faster to the muscles, enabling the muscles to build faster. Protein in these supplements enables the blood flow to increase to the muscles. 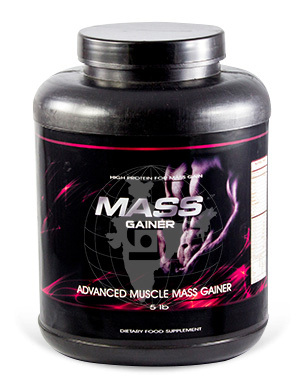 Mass-gainer supplements increases the body strength and also the energy levels. It will leave you feeling energized throughout the day. It is also known to increase the power levels in athletes, thus enabling them to run or exercise for long periods. Through these supplements, the body is able to keep water levels which are necessary for muscle growth. Apart from for muscle growth, it also helps the body with a good metabolism. If you have sore muscles or torn muscles, these supplements help to repair and build muscle tissue. Therefore its use goes beyond just gaining body mass. Recovery rate when suffering from muscle injuries are great. The ideal supplements make you feel less full, increase energy and strength levels through the day. We offer Mass Gainer, sweetened and flavoured ready to use, packed in bulk, for re-packing at our clients’s facility.